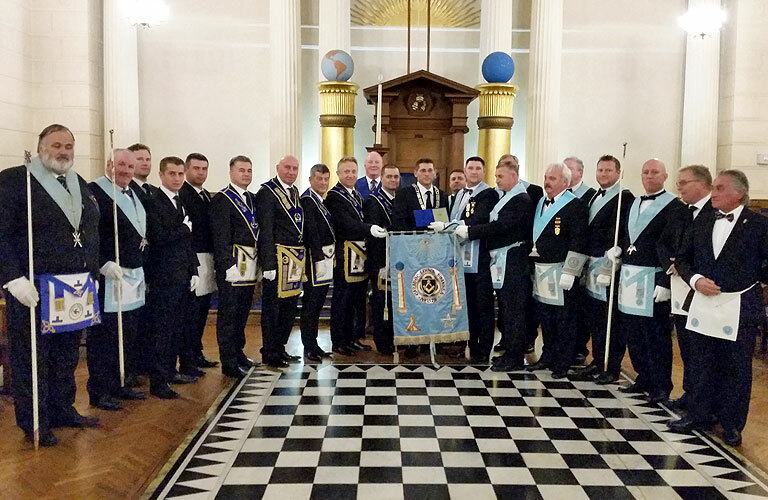 At the October 2015 meeting Caradoc received a visit from the Romanian Lodges of Galati. 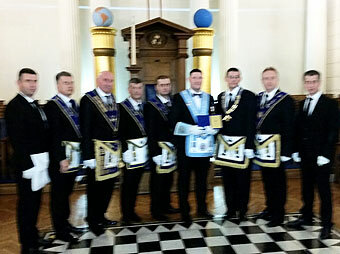 Eight brethren attended the 2nd degree ceremony. Amongst the brethren attending were W.Bro. Adrian Istrate, W.Bro.Valentin Aprodu, W.Bro. Marius Hanganu, W.Bro. Marius Jinga, & Bros Aurelian Paduraru, Cornel Sandu, Ciprian Manea and Peter Carpiuc. 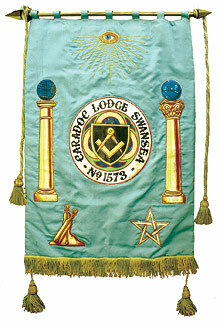 The brethren attended as guests of W.Bro. Jeff Joseph, who has visited Romania lodges on three occasions and also attended an installation of the Lodges of Galati together with W.Bro. Paul Bunyan of R P St John Lodge, W.Bro. Tim Clarke of Beaufort Lodge, W.Bro. David Matthews and Bro. Ian Greenhill of Doric Lodge. The Romanian visit has become an annual event for the last three years with the number of brethren increasing each year. 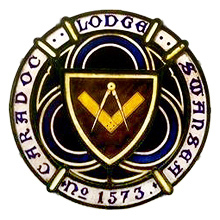 The brethren also attended the Doric Lodge installation on the following evening.